An innovative new collaboration between the Open University and Trinity Laban Conservatoire of Music and Dance aims to open doors to amateur musicians. The ‘Practice of Music Making’ Certificate is designed for students who wish to develop their musical practice but have not been able to take part in traditional programmes of higher education in music. These typically do not allow for study by distance and can be restricted in terms of the kinds of music that can be studied. The programme was designed to accommodate the amateur, semi-professional and professional musicians who enrich community life. Open to musicians studying any instrumental or vocal practice at any level, it can be taken either as a stand-alone module or toward degree study with the OU. 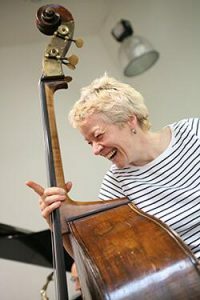 Teaching takes place through online learning materials, personal interactions with tutors and other students online, and a one-week residential school held at the Trinity Laban Campus at the Old Royal Naval College in Greenwich. It capitalises on the increasing availability of digital recording technology to allow students to reflect on their musical practices and share them with others. The programme continues a longstanding engagement at the OU with the musicians who help communities to thrive. This group of musicians was the subject of Faculty of Arts and Social Sciences Professor Emeritus Ruth Finnegan’s classic monographic The Hidden Musicians.